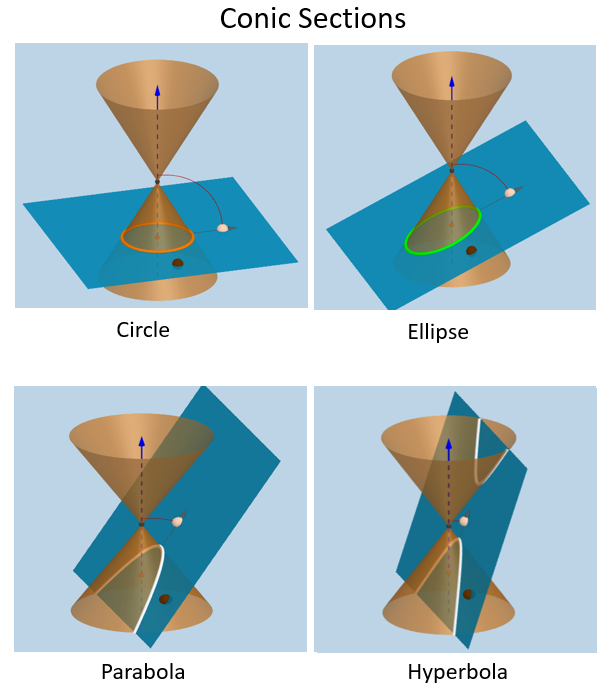 The following diagrams show the conic sections: circle, ellipse, parabola, hyperbola. Scroll down the page for examples and solutions on Hyperbolas. A hyperbola is a type of conic section that is formed by intersecting a cone with a plane, resulting in two parabolic shaped pieces that open either up and down or right and left. Similar to a parabola, the hyperbola pieces have vertices and are asymptotic. The hyperbola is the least common of the conic sections. How to talk about hyperbolas. This video defines a hyperbola and explains how to graph a hyperbola given in standard form. This video explains how to graph a hyperbola in general form.